Lois Joy Hofmann’s books offer something for everyone. 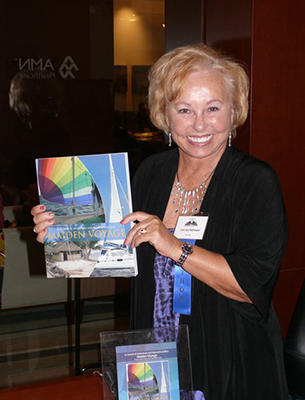 From retirees and those dreaming about retirement, to boat owners, sailors, adventurers, travelers, geography buffs, and armchair sailors alike, Hofmann gives the reader “slice of life” moments through her compelling stories and captivating photos. Hofmann writes in a first-person style as if she is on location sending stories from the front in real time. Stories often begin with the date, location, and—for the nautical buffs—latitude and longitude. 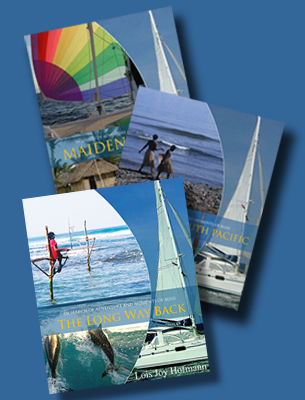 The Long Way Back is the third and last book in the trilogy In Search of Adventure and Moments of Bliss. A riveting conclusion to a grand adventure that took Lois and Günter Hofmann over 34,000 miles around the world on a 43-foot catamaran. Filled with dangers, exotic cultures, and unexpected delights, this book completes the trilogy that begins with Maiden Voyage and continues with Sailing the South Pacific. Through 456 pages and 316 breathtaking photographs and many riveting stories, Hofmann shares the thrills and challenges of sailing as well as those moments of bliss—so exquisitely serene that they seem otherworldly. You’ll sail along with Lois and Günter up the coast of Australia, through Indonesia, and on to Southeast Asia, across the Indian Ocean, through Pirate Alley and the Red Sea, and finally across the Med and back to France where their circumnavigation began—holding your breath when they encounter danger and cheering when they succeed. 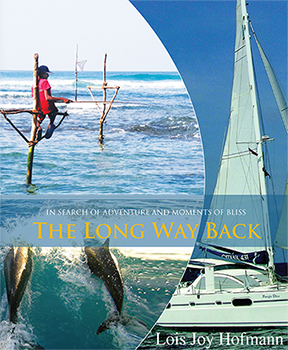 The perfect book for sailors (armchair or actual), adventurers, travelers, educators, and anyone who loves learning about other cultures, The Long Way Back will ignite a spark for pursuing your passions and living your dreams. 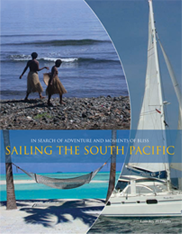 Sailing the South Pacific is the second book in the trilogy In Search of Adventure and Moments of Bliss. 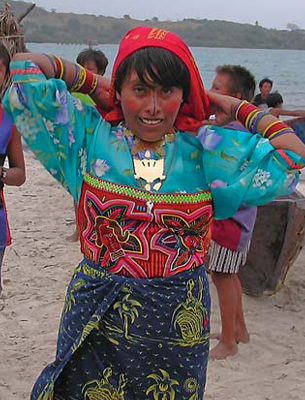 This inclusive book combines personal memoirs with stories about local cultures and customs, geography, catamaran sailing, and over 200 extraordinary photographs and maps. Visit our Products page or Amazon.com to purchase the book. 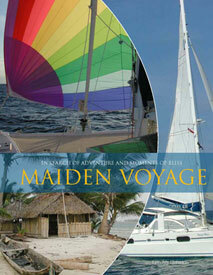 Maiden Voyage is the first book in the trilogy In Search of Adventure and Moments of Bliss. Lois describes the couples’ first voyage from France, where they built their catamaran, to their home in San Diego—a gripping physical, intellectual and emotional journey—in Maiden Voyage, the first book of her trilogy, In Search of Adventure and Moments of Bliss. Maiden Voyage features over 150 extraordinary photographs of the Hofmanns’ travels. All of this is punctuated by magazine-style sidebars for each country visited that provide eye-popping educational, historical and geographic facts. Visit our Products page or Amazon.com to purchase the book. Buy either book one or two of Lois Joy Hofmann's epic story of adventure and survival!